Fire. The common enemy of firefighters across the globe, regardless of the colour of their uniform or the language they speak. Dedication and commitment aren’t the only things they put into their jobs – when firefighters get to work, they’re putting their lives on the line. This very danger garners respect for those who go out of their ways to keep us safe. But if recent incidents are anything to go by, firefighters often face backlash from the masses in case of high numbers of casualties. Even though the manpower we have in the fire service department should be enough to subdue even the larger fire-related disasters we’ve seen recently, due to the lack of fire suppression systems in the buildings themselves, our firefighters had to double down on their efforts to bring the situations under control. Dhaka city has experienced disastrous fire-related incidents in the past. Over 110 people lost their lives in the Nimtoli fire in 2010. 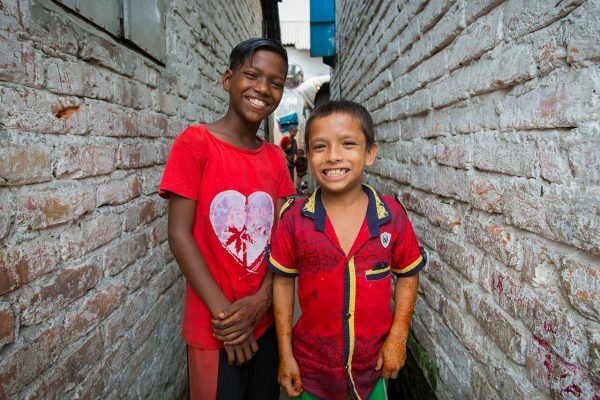 Winter of December 2016 saw Korail slum get gutted from a fire, and within a few months, March brought with it another devastating fire which affected over 4,000 families in the same place. Recently, the city’s newspapers have been flooding with reports on fires breaking out. This year began with Chawkbazar’s chemically induced fire that took the lives of over 70 people. Not too long after, the FR Tower tragedy stunned the city. 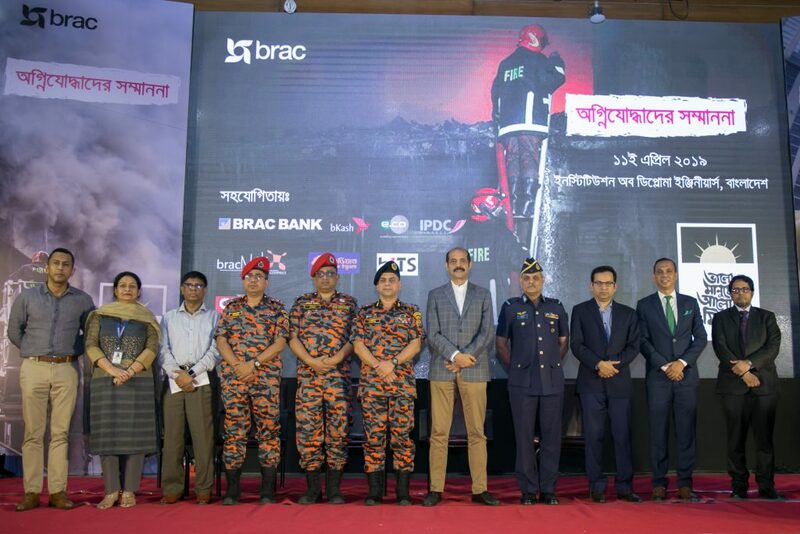 On 11 April, BRAC organised a ceremony to recognise and honour the dedication of the firefighters, whose job calls for risking the ultimate sacrifice of their lives. 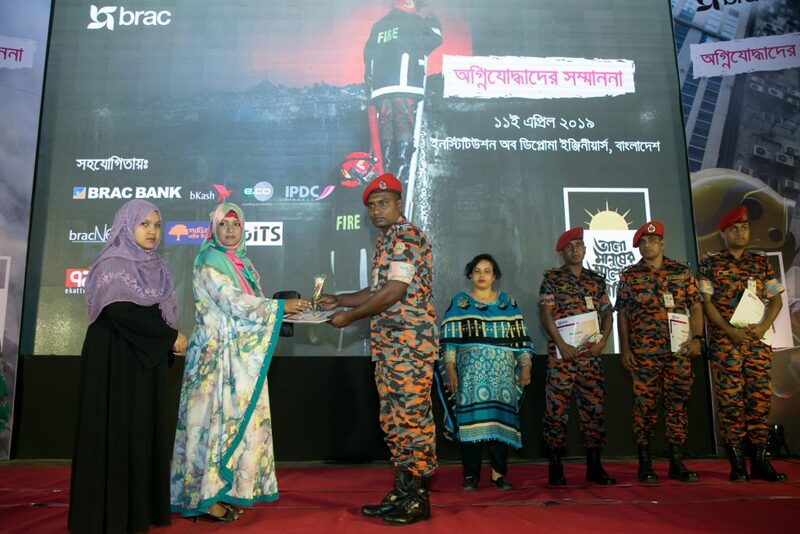 At the Institute of Diploma Engineers in Kakrail, Dhaka, 10 firefighters were presented certificates of appreciations by the very people they had rescued in the past. We learned that many survivors from the FR Tower felt deep gratitude toward the firefighters. Although they were unable to attend the ceremony, they had sent their messages in a video that was shown at the event. BRAC’s senior director, Asif Saleh, held a panel discussion with Dhaka North City Corporation Mayor M Atiqul Islam, along with Brigadier General Md Sajjad Hossain (Director General of Fire Service and Civil Defense, FSCD hereafter), Major AKM Shakil Newaz (Director, operations and maintenance, FSCD), and Lt Colonel SM Zulfikar Rahman (Director, training, planning, and development, FSCD). They spoke about the increasing fire-related disasters the capital has been experiencing, from the challenges the firefighters face during rescue operations, to the plans for the city to be more resilient from such incidents in the future. Both Major Newaz and Brig Gen Hossain emphasised on the need for citizens to understand the importance of clearing the way to let firefighters do their jobs. 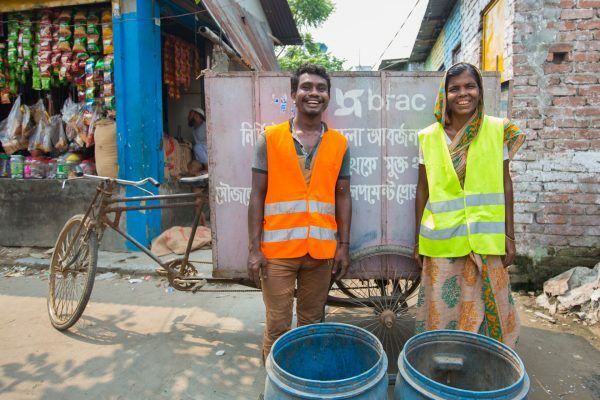 Urban resilience is about communities coming together and it is time to reclaim Dhaka as a safe city. With plans to title certain buildings as exemplary in terms of safety, the city corporation now aims to encourage builders, owners, leasers, and renters to be aware of safety hazards and measure in place. Among the lives lost, was one from the fire service family itself – one of the first responders, firefighter Sohel Rana. At the event, BRAC presented a cheque of BDT 400,000 to his family. To thank them for their contributions, a cheque for BDT 300,000 was handed to the FSCD Trust Fund as well. For a safe capital city, much has to be done. The recent incidents draw attention to the various horrors that reality can take on, and they also act as a push for better management, mitigation, and proactive measure for everyone’s safety. From community resilience to safeguarding where we live and work, may we all put safety first and foremost.